SmartFlow is SkyElectric’s patented intelligent energy management software that controls every aspect of your Smart Solar System. It takes historical and up-to-date current as well as predicted values of grid availability, tariff structures, solar irradiance levels, local load and energy storage levels to compute and run a Power Management Plan. 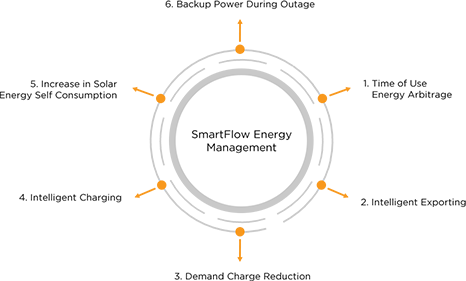 SmartFlow has two prime goals; provide the highest availability of energy from the cheapest sources and at the lowest cost. To perform this, extraction of multiple economic value streams from the local energy infrastructure takes place in order to ensure energy availability at lowest costs. Utilizing this cloud delivered knowledge; the system computes and updates optimal Power Management Plans. SmartFlow always chooses your cheapest energy resource, providing maximum savings possible from a solar and energy storage system. 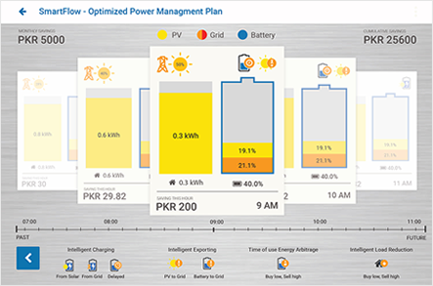 SmartFlow is continuously producing and updating a Power Management Plan (PMP) for your home or business based on historical, current, and predicted information on solar and grid availability, stored energy and home load patterns. This PMP is implemented in the form of intelligent charge and discharge of battery energy, and intelligent use of grid tariff structures, such as available net-metering policies, time of use tariffs, etc. A SmartFlow value stream is an economic advantage or leveraging point that can be extracted when one has full situational awareness of the energy environment. 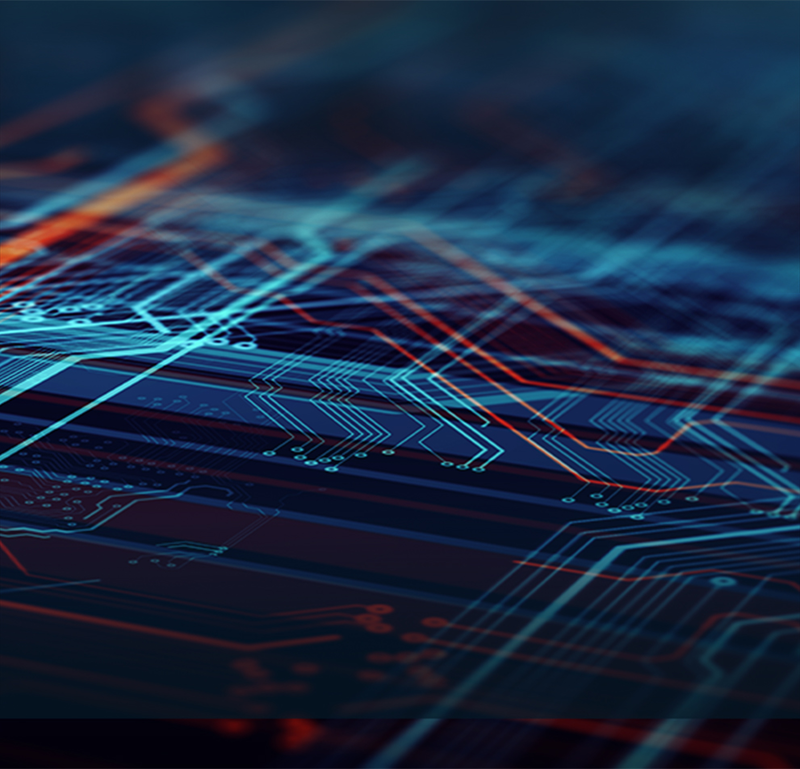 Smartflow unlocks this economic value by computing a chain of actions that are the optimal Power Management Plan (PMP) for those energy related conditions, and then activating the plan autonomously under software control. It serves to reduce your energy bill while still providing the most possible energy at any given time. Here is an overlapping solar production and load consumption graph showing the typical household load patterns throughout the day as well as solar energy production in the daytime. There is little overlap between peak load consumption and peak solar energy production, which means the majority of solar energy, shaded yellow, will be wasted if it is not intelligently managed. SmartFlow extracts multiple value streams to more fully utilize all the available solar energy as well as reduce overall grid electricity usage. To prevent wastage, SmartFlow commands the system to export excess solar energy to the grid, so long as the grid is on and available for net-metering. The system keeps tracks of all energy units sold as well as consumed from the main grid so you always have an accurate and up to date account of how your solar energy is being used and your net energy bill. In aggressive load shedding scenarios there is an increased potential wastage of excess solar energy, which is resolved by efficiently discharging the battery to the grid when the grid is on, and charging the battery from excess solar when the grid is off. You can store excess solar energy in the battery during the day and discharge later in the evening, reducing your peak tariff grid consumption. By intelligently storing the solar energy into your battery during the day, and releasing this solar charged battery energy in the early to late evening time frame, you are able to consume the locally produced solar energy even when the sun is not shining. If solar energy production is low, your battery will be charged from the low tariff grid and discharged during peak tariff hours to reduce your electricity bills. Since most residential consumption occurs during peak rate periods, over time the savings of such an economic value stream can be substantial. This allows SmartFlow to provide an economic value stream even in completely cloudy days where there is little to no solar irradiance, as grid TOU energy arbitrage can always be performed as long as there is a TOU tariff structure.